When a new or used car is found to be defective only after it was purchased it is typically referred to as a lemon. The use of “lemon” to describe a vehicle dates back to the early 20th century and in the 1960s the term was used to describe a defective model. With this in mind, it is estimated that approximately 1% of all new vehicles are lemons—vehicles with repeated and irreparable problems. Due to such a high number of lemons being sold, each state has enacted a lemon law that can help consumers fight for their rights. 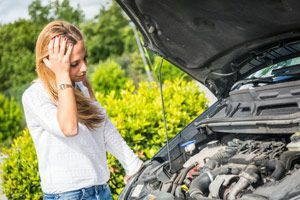 Have you have purchased a vehicle that is a lemon or has a defect that is unable to be fixed that you were unaware of when you made the purchase? If do, did you know that you may be entitled to compensation for your losses? To find out if you have grounds to file a compensation claim, simply fill out the “Free Case Evaluation” form to your right for a no-cost, no-obligation review of your lemon law claim—or call our law offices today at (855) 522-5291. At Tapella & Eberspacher, we proudly offer free consultations and we only get paid when we win. Have an issue that substantially impairs the use, market value or safety of the vehicle. The problem must also not be repairable by the dealer or manufacturer after at least four attempts. The Illinois lemon law does not cover used cars, motorcycles and boats, and altered or modified vehicles. To initiate a lemon law claim you must contact the manufacturer, not the vehicle dealer. Due to the fact that the statute of limitations is one year, complaints should be filed as soon as possible. If your vehicle meets the requirements you may be entitled to a refund or replacement vehicle from the manufacturer. Other options include laws dealing with contracts and warranties for new products. However, before you decide on a particular course of action, speaking with an experienced attorney can help you determine what your legal rights are. At Tapella & Eberspacher we understand how frustrating it can be to purchase a new vehicle only to later find that is a lemon. Additionally, the defects of such a vehicle could lead to the increased risk of a car collision. If you or a loved one is seeking legal counsel on Illinois lemon laws and what your legal rights are, we can help. Our lawyers can retain experts in areas such as civil engineering and product design to make a powerful case. At the law offices of Tapella & Eberspacher we pride ourselves on providing comprehensive legal counsel to victims of faulty vehicles throughout Illinois. …and many more local towns and cities. For more information on how we may be able to help you with your lemon law claim, contact us at (855) 522-5291. If we take your case there are no attorney fees unless you receive compensation. If you would prefer to contact us online, fill out the “Free Case Evaluation” form at the top right hand corner of this page – it’s FREE to submit. We are committed to fighting for the rights of our clients and only get paid when we win.